Dominican Sandra Condito, producer of the film directed by Venezuelan Jonathan Jakubowicz, was brought to tears by the showing of the film. “¡Viva la República Dominicana!” shouted a deeply moved Sandra Condito, producer of the film “Secuestro Express”, as she ascended the stage of the Universidad Autónoma de Santo Domingo (UASD)’s Manuel del Cabral Auditorium. She was presenting, along with the film’s director, Jonathan Jakubowicz, a piece that was to be very well received by the audience. Condito thanked the 150-person audience, which was made up primarily of students, for their support of the film: "I am very pleased to be in my country and to present this film, and I am sure you will enjoy very much”. As she addressed the audience, Condito’s voice was punctuated by emotion and gestures, matching the elated energy palpable in the audience. During the presentation of the film, Jonathan Jakubowicz also expressed that he was pleased to be showing his work in a public university setting. 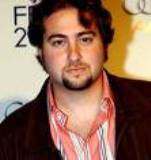 “I studied in a public university – the Universidad Central de Venezuela”, he explained, further elaborating that the movie had been the first chance for many of his team members to work on a film. “So this is almost like a showing of a university film, and I hope you enjoy it”, he concluded. At the end of the 80 minute film, both producer and director were surrounded by an enthusiastic audience whose loud applause began as soon as the film’s credits ran and did not stop congratulating both artists for their achievement.